No visit to the Jackalope is complete without this. What an awesome photo opp! 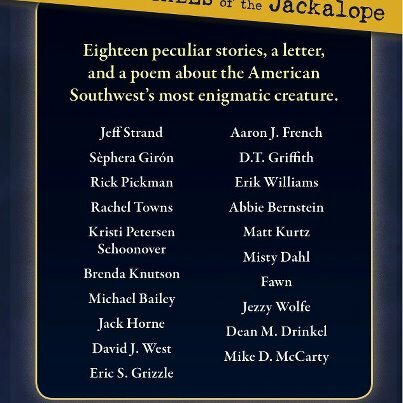 In 2012 I wrote a short story, “The Thing Inside,” for an anthology called Unnnatural Tales of the Jackalope, edited by John Palisano. 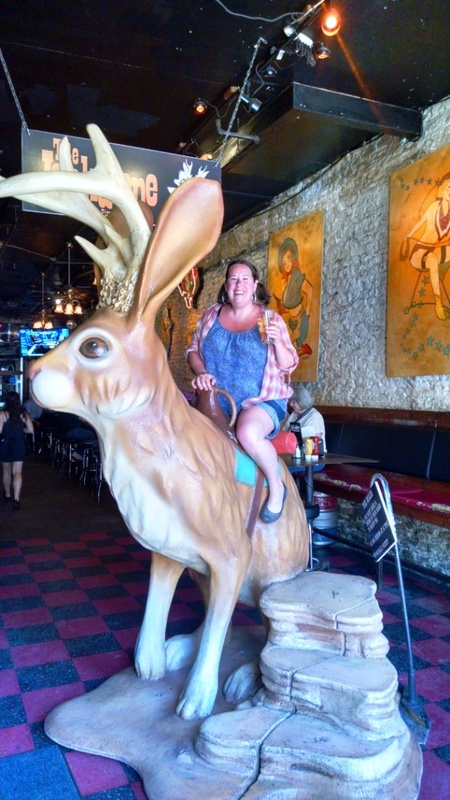 Aside from the fact that I’ve always been fascinated with Jackalopes (if you don’t know what that is, click here), “The Thing Inside” remains one of my favorite pieces—it was heavily influenced by my first-ever visit to Austin in the summer of 2011. 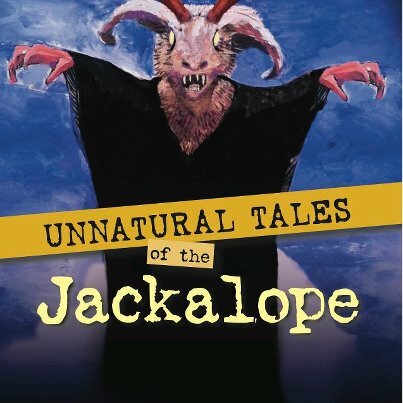 The search for the jackalope—that mythical demon-esque cross between a rabbit and an antelope that dwells in the American west—has come to an end with the release of Western Legend Publishing’s anthology Unnatural Tales of the Jackalope. 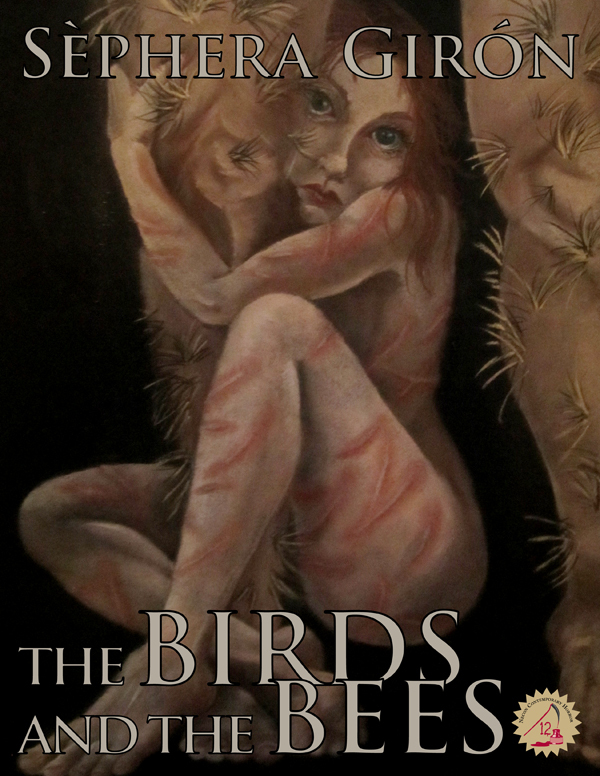 In this collection of horror stories due out June 30, my short story “The Thing Inside” and 20 others bring the terrifying jackalope to vivid, scary, life. 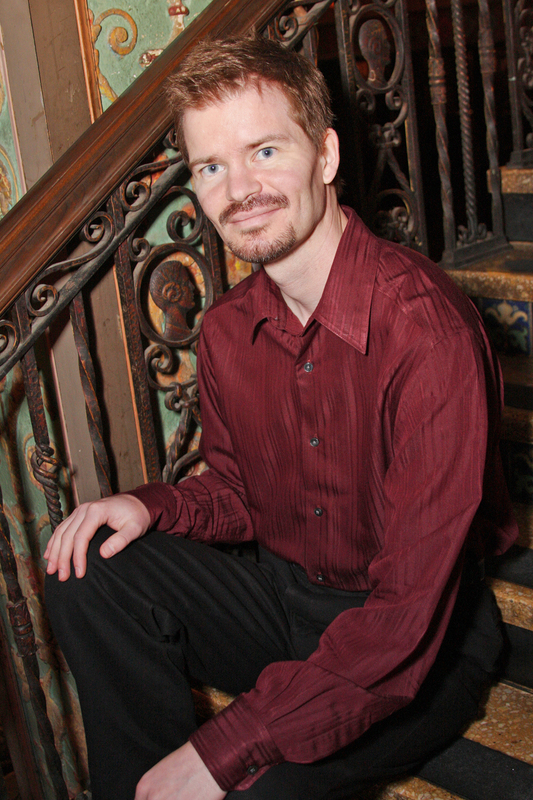 The collection is edited by John Palisano (author of Nerves from Bad Moon Books) and is WLP’s debut volume. 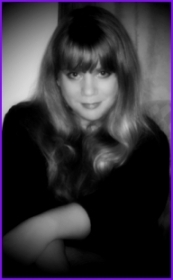 The table of contents is now posted over on the Western Legends Publishing Facebook page! You can check that out here: http://www.facebook.com/WesternLegendsPublishing (and click Like while you’re at it?). 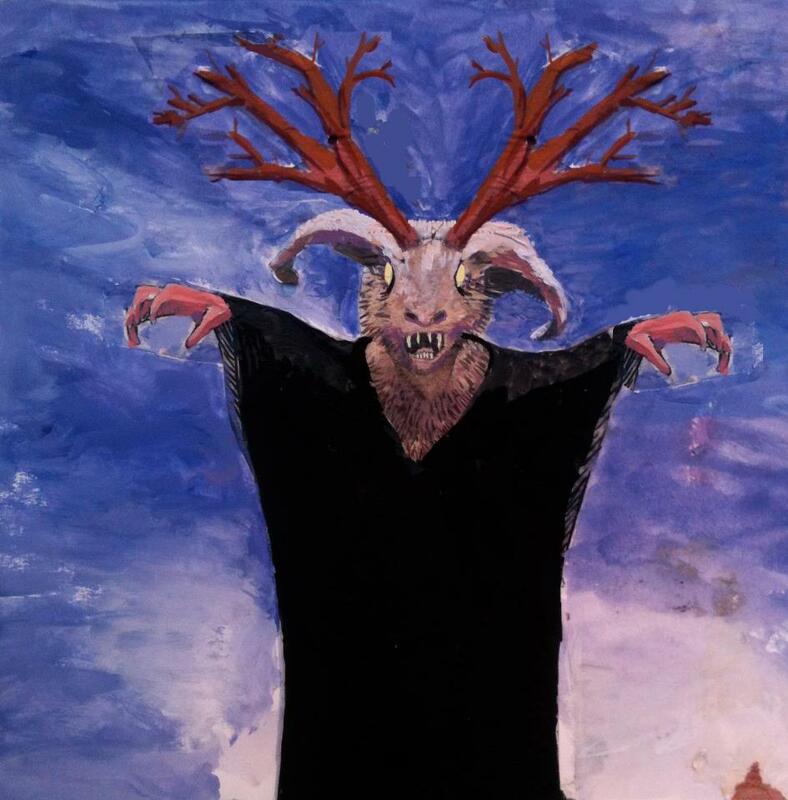 While it’s never a good idea to say “this is a collection that hasn’t been done before”—well, honestly, a collection of horror stories centered around the jackalope really hasn’t, according to my research (the closest thing I could find were a few single-story books aimed at very young children). This fantastic collection isn’t to be missed and will be available in both print and shortly thereafter e-book; I’ll keep you posted. 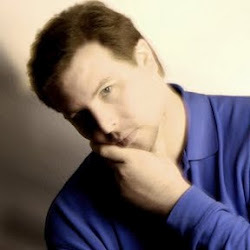 Scary Scribes Bonus: John Palisano answers Twitter listener questions! 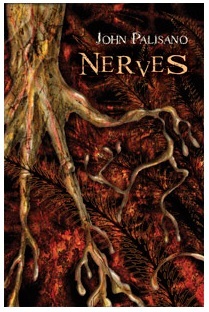 Scary Scribes Episode 2 taught us we need to have a Twitter feed directly into the studio—our guest John Palisano, author of Nerves, got a few questions from listeners! John was nice enough to answer them for us after the fact, and we’re presenting them here as a bonus. Did Hell Raiser or Clive Barker inspire your work? Clive Barker is an enormous influence on my work. He’s a huge inspiration: when I read his stories, it makes me want to explore my own imagination to its fullest. I love how he straddles genres, like fantasy and horror. Of course, his writing is gorgeous. 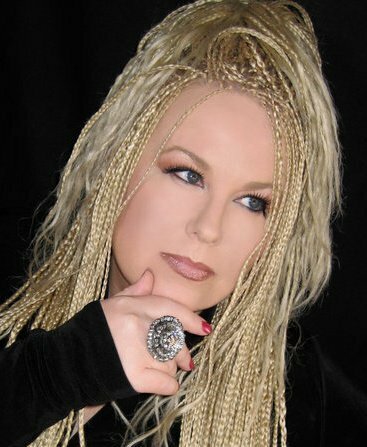 Hellraiser was not a direct influence on Nerves, although it is one of my favorite horror films and stories of his that I’ve read. If anything, I would say Nerves would be closer to Clive’s Weaveworld and/or Imajica. Who would you want to play the main character on screen? While I was writing Nerves I pictured a young John Malkovich as Josiah, complete with no hair, super-pale skin, and red eyes. I think Jackie Earle Haley would be amazing in the role. He’d really nail the anger and loneliness. As far as Horace? I always saw Ron Perlman, who I bet would be properly intense and troubled. I bet Doug Jones would make an amazing Ogam. He’d be charming and manipulative, but would then be able to turn on the pure, unhinged evil when the time is right. Will the book be on the iBook store? Thank you so much for these great questions. I hope you all enjoy your journey into the world of Nerves. Get your nerve to go: listen to Scary Scribes Episode 2 here! The book was released on the day the show aired, so we truly did get the jump! Don’t miss it! Think you’ve got nerve? 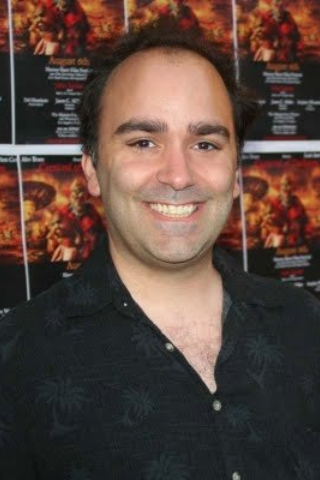 Then don’t miss John Palisano on today’s Scary Scribes! Going to miss it? No problem! We’ll have archives available soon after so you can get your Scary Scribes to go!